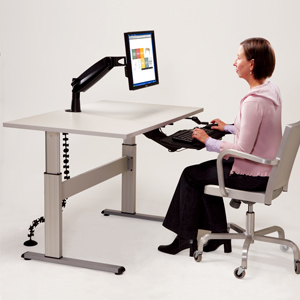 This Equity 4830 accessible computer workstation with hand crank adjustment accommodates students of all ages and abilities at an excellent price. The Equity 4830 is an ideal solution when frequent adjustment is needed to accommodate students who use wheelchairs. 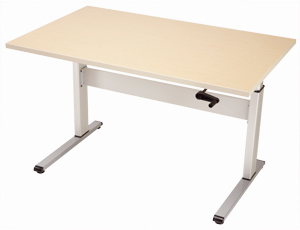 An easy-to-turn hand crank provides infinite work surface adjustment (between 24-38 inches) to meet the functional requirements of students with disabilities and the requirements of the ADA. Two-Year Warranty.